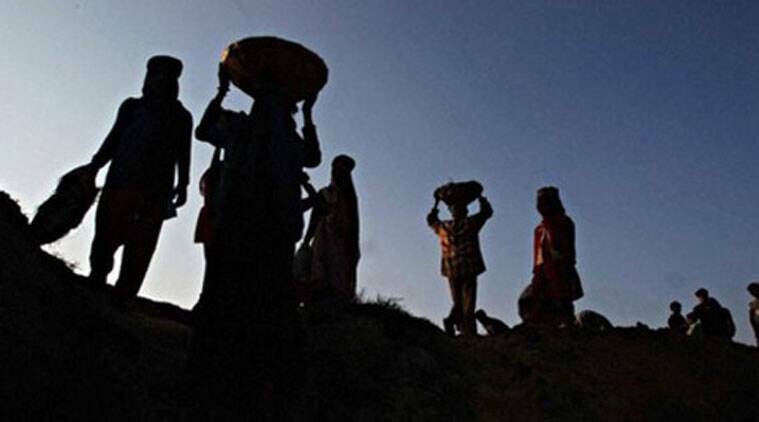 The uptick in MGNREGA reflects the heightened rural distress in view of both joblessness and loss of farm incomes owing to increased frequency of droughts. The uptick only reaffirms the significance of MNREGA in providing a security net for the rural unemployed. Interestingly, immediately after forming govt in 2014, PM Modi dismissed the scheme as 'the living monument of UPA's failure'. The NDA govt, however, could never afford to completely do way with the UPA's flagship scheme. This has to do with the popularity of the scheme at the ground level as also the fact that a petition in SC by Swaraj Abhiyan forced the government to ensure that the demand-driven scheme remains so both in spirit and implementation. 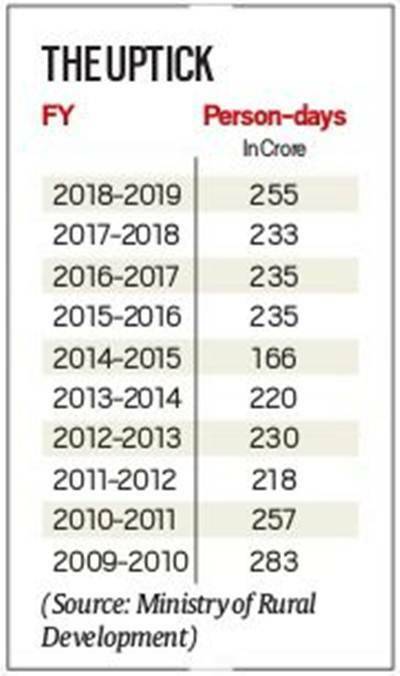 However, year-on-year budgetary allocation for the scheme has seen no increase in real terms. 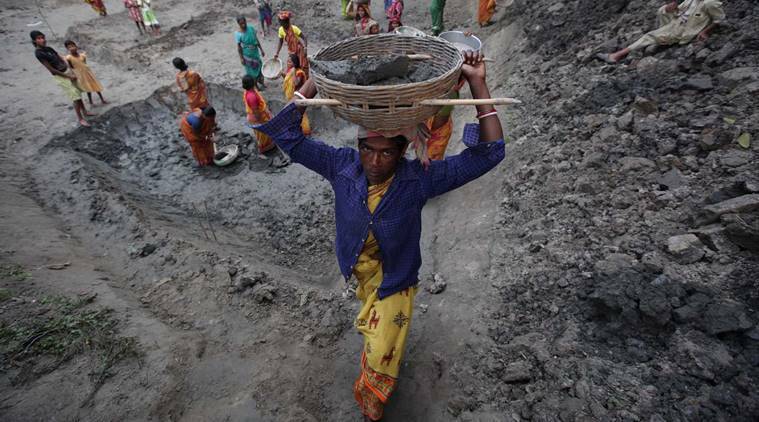 Yet, the 10% increase in the person-days of work under the scheme — from 233 cr last year to 255 cr so far this financial year — indicates the huge demand for work in rural India, where, with no other options available, people are willing to work at the MGNREGA wage rate. 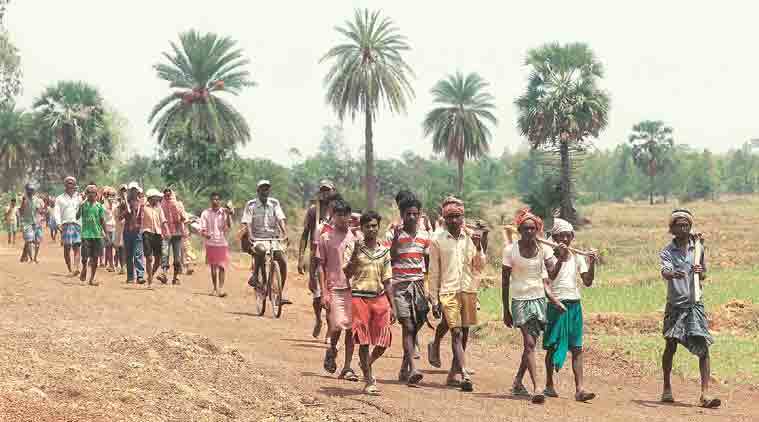 Jharkhand, which offers the country’s lowest MGNREGA pay of Rs 168 per day, has over the last few months declared drought in 18 of its 24 districts. All 30 districts in Karnataka have been declared drought-hit. Similarly, over the last four months, additional work had to be provided under the scheme to large parts of drought-hit Rajasthan, Odisha, Maharashtra, Gujarat, and Andhra Pradesh as well as flood-affected Kerala and cyclone Gaja-hit Tamil Nadu.